It is a speculation that Henry Jessee is John's father based on his Will, which is on record in Caswell Co., NC. "John and Frankey Jessee” both witnessed this will, but there is nothing in the Will that names Henry’s children, or indicates that he even had children. He gives all his property to his wife Elizabeth Jessee. 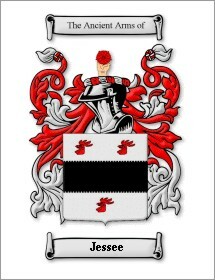 He may very well have been a brother, an uncle, or a cousin of John Jessee. We should also look for evidence of Elizabeth Jessee. Tom Rudder believes that research in Caswell County Court records as to the disposition and distribution of Henry or Elizabeth Jessee’s estate may add further clues. We are seeking someone who might undertake such research there. We are seeking evidence of the relationship of John and Frankey Lea Jessee to Henry and Elizabeth Jessee, in Caswell County from about art 1750 to 1790.